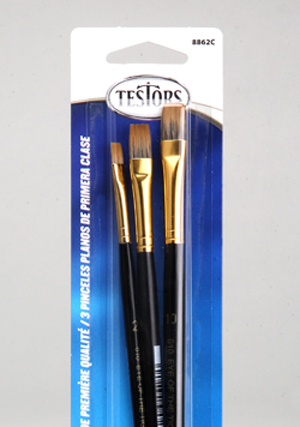 Testors Premium Flat Brush Set, 3 Sizes Discounts Apply ! TEP8862C - Testors Premium Flat Brush Set, 3 Sizes #2, #8, #10. The master crafter and hobbyist who enjoys second-to-none quality in Testors paints is looking for the same quality and reliability in their brushes.